Surprised more of your problems with ALL IS LOST aren't about procedural sailing choices. Even a land lubber like me can see that, with an otherwise so nicely appointed boat, he ought to have had at least a couple of those relatively cheap waterproof emergency radio beacons (is it even legal to sell a lifeboat without one anymore? ), which would have, of course, obviated the entire rest of the story. Part of what I liked so much about most of the action in ALL IS LOST is how the film trusted the audience to follow Redford as he was trouble shooting every next problem, without necessarily having to understand why he was doing everything right away. This really is a remarkable film. It's challenging enough to make a movie with little to no dialogue. Almost equally difficult to make an authentic survival thriller without any obvious crutches, one that fully embraces the extreme isolation and circumstances of the protagonist (see how not to do it in Danny Boyle's 127 HOURS). For me, ALL IS LOST rivals the very best survival stories I've encountered in nonfiction books and documentary films like TOUCHING THE VOID. And I also think it's worthy of comparison to one of my all-time favorite short stories, Jack London's "To Build A Fire." The film didn't really need a score, or certainly not as much of one or as big of one as it got. And I could have done without the tacked-on mysticism of the ending. BLUE JASMINE? Really? I get that the lead performance is great. But, I take it you've never spent much time in San Francisco? Then you'd see how pointless setting the film there was (almost as pointless as the super wide aspect ratio), and how little Allen seems to understand about the place. Most of the minor characters feel transposed from an earlier draft that was set in a cartoon version of NYC from a few decades ago. I wouldn't be surprised if he cannibalized some other unproduced script for some of them. Or changed the setting arbitrarily, purely for producing/financing reasons, without any real rewrites. It feels like you're grading Allen on a curve because of the subject matter. This is midrange Allen at best and it can't compare with the quality of the average film he was putting out before his scandals broke and he lost access to the sorts of people who'd dare to give him honest feedback. Sure, this film isn't as bad as some of the stuff he's made in the last 10-20 years. But I doubt we'll be rewatching it much 10-20 years from now. I believe he went outside on the boat to steer it. If the boat is side on to the waves it will capsize. If it faces into the waves it at least has a chance of staying upright. Same thing with the storm jib. It should keep the boat pointing in the correct direction. Still, I guess it could have been explained better. So Paul, since you seem to know about sailing, did you have problems with any of the decisions Our Man made? I've heard other sailors complain: That he should have patched that hole right away. That he shouldn't have bothered with that wooden handle for the bilge pump -- bailing with a pail would have been faster and more efficient. That he waited too long to prepare the ship for the storm. That he shouldn't have half abandoned ship like he did (which I thought was one of the more clever screenwriting choices, allowing him to be both in the raft but not yet adrift), still tethered to his badly damaged vessel. I really enjoyed ALL IS LOST, and maybe it helps that I don't know anything about sailing, the weather, or survival. For me the important thing was about finding inner limits, and that's what I kept going back to as I watched the film. Could I have dealt with this? When would I have given up? They did a great job of putting him in a total state of exhaustion right as a new, very demanding trauma would hit. That tension, paired with the way the film played off Redford's age, really worked for me. I actually loved BLUE JASMINE, it was one of my favorite films this year as well. (Although I haven't seen some of the other films that have been mentioned so far). I didn't have j.s. 's problem's with the film, but I never really cared or considered whether it was an accurate depiction of San Francisco or not (and I have spent some time there), the whole tone of the thing was very slightly off-realistic anyway, so it just didn't bother me. Now that it's been mentioned, the SF characters do seem more like New York circa 1990 characters, but it didn't take anything away from the film for me. I have a friend who feels that Cate Blanchett was tonally in a different movie from the rest of the cast, but if that's true it worked for me as well, since she was supposed to be from such a different world. I loved the twist, too, but I think it was fine to leave it as it was. What would have been better, a blow-out scene with the sister, where all is revealed? We do get some recrimination from the son, don't we? Since it was all about that internal pressure, I think worked that it didn't get a big external release. 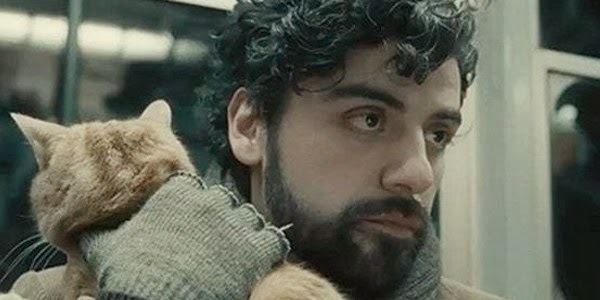 I really think I must have seen INSIDE LLEWYN DAVIS on an off night (actually an off morning, maybe that had something to do with it) because I couldn't take the film at all. It seemed meandering and pointless, a portrait of a character, and fetishization of a time period, with no forward momentum. And although the songs were good, playing them all out in their entirety was a drag. Albert Grossman was a family friend, so I went with some trepidation as to what they were going to do with the character based on him, but in the end it wasn't much. That whole road trip, and especially the John Goodman character, seemed verging on pointless to me. But it seems I am completely alone in this feeling about the film, so I think I must have missed something. Or maybe 10am screenings just aren't the right time for films that don't really drive forward. I'm certainly no expert. I did think bailing by hand could have been quicker. Some times he seemed too calm given the situation. But for me that just demonstrated his character. He did far more smart things than stupid. An no one is perfect, especially in traumatic situations. I thought the fibreglass patch could have been better, but that's not really an issue. Clearly that depends on his pre-existing skill-set. Although I was confused with having the life raft tethered to the sinking yacht. Wouldn't it pull it under? My biggest issue was not his skills but the voice over scene in the beginning. It didn't come back into play. I thought he'd be sinking and stumble back upon the container as his last refuge. Ironically the thing that caused the problem to begin with. Otherwise what was the point of it? Who was he talking to? J. S.: I feel the opposite is true with Allen: he makes so many movies that they tend to bury each other, making each one inherently underrated, but whenever I remember to rewatch one (even one of the good-but-not-classic ones) I'm impressed by how well it's aged. If all I was allowed to watch in my senile years is to rewatch his 30 best movies, I'd be pretty happy. And like I said, I think this one was a breakthrough, so I think it'll stay with me. Paul: I guess that makes sense, but that's a perfect example of an area in which a little dialogue, voiceover, or even muttering to himself would have gone a long way. JA: You're far from alone is disliking ILD, a lot of people loathed it. I think that, like Llewyn himself, it took some pride in being a little off-putting, but I loved it. About ALL IS LOST. Paul wrote: "An no one is perfect, especially in traumatic situations." There is, indeed, a secondary Man vs. Self conflict. I think this is a key for me in appreciating the film. Which is why many expert sailors' nitpicks don't necessarily hold water (pun intended). Our Man himself is supposed to be experienced but not necessarily an expert. This is very likely his first solo voyage around the world. In a cascading series of emergencies, sometimes the only sensible thing to do, and the most psychologically sound approach is to act, to make some kind of choice, even if it isn't the perfect one. You see this time and again in survival nonfiction. Even survivors with much more experience in their given fields than Our Man make suboptimal choices sometimes. The key is making enough of the right decisions to come back alive. For me the opening message-in-a-bottle voice-over is mostly about connecting us emotionally to this largely speechless character -- showing us a moment of his humanity and vulnerability. Promising the audience not just bad, exciting stuff in the flashforward future to come, but that it's all really affecting this character whether he lets it show or not. I think the voice-over pays off even more when he gets the sextant out in the raft, sees the card with it and can't bring himself to even look at it again, let alone read it. It would just be too much hope at that moment to connect to his family that directly. I have read accounts of abandoning ship where rafts were tethered like that, but usually not for nearly as long -- we're talking minutes to an hour instead of what seems like all night. Though he does make a point to cut that tether when the boat is finally sinking. But I'm not sure if you're questioning the fact that he stayed tethered at all? Because the boat could have gone down at any moment and he might not have reacted fast enough? About BLUE JASMINE: What J.A. says about Cate Blanchett being in a completely different movie tonally could apply to most members of the supporting cast. Aside from Baldwin, who was also perfectly cast and great, everybody else, even great actors doing solid work like Louis C.K., Andrew Dice Clay and Sally Hawkins felt like they were all in their own tiny films. And as for the plausibility of BLUE JASMINE's fictional families, the ones who were supposed to be related to one other? Give me a break. Nobody remotely looked or felt like a family. For better or worse, I never had those questions about, for instance, Hannah and all of her sisters. Or for just about any other early Allen ensemble film. ANNIE HALL even convinced me that Christopher Walken could be Diane Keaton's brother. I didn't want some picture postcard "essence" of San Franciso or even correct geography, just the ineffable feeling of it actually taking place there, the authenticity of a thousand tiny choices, like where the sister's apartment is and then what the interior looks like, etc. I admire prolific filmmakers. But I suppose I'd hold up someone like Ozu or Bergman instead, who never seemed to lose their integrity or allow life to destroy them. You can watch their last films and they are every bit as good as their best early ones. Whereas for me, there's a huge drop-off in quality for Allen after his scandals. Critics and longtime fans keep wanting to believe that, say, MATCH POINT is as great as CRIMES AND MISDEMEANORS or that MIDNIGHT IN PARIS is a signal of his return to form (when it's really just a gorgeous looking so-so re-mining of the PURPLE ROSE OF CAIRO/ALICE territory). BLUE JASMINE might have been a masterpiece if he'd made it before 1992. Instead, it's one of his least bad later films. Are there parts of BLUE JASMINE that are among the best things he's ever done? Sure. But they are side by side, moment to moment with other choices that signal he's not just old but willfully out of touch with his cast, his setting, even his story. The character work in Blue Jasmine was well done however, and I have a feeling this one didn't make it on your list - the character work, especially Meryl Streep, in August: Osage County was tremendous. I think she's more deserving of an Oscar than Cate Blanchett. And the twist in that movie -- I certainly didn't see that coming -- was definitely gut-wrenching. Not an easy feat to make a damaged and dysfunctional mother both funny and empathetic. Agree with Jill generally about the character work in BLUE JASMINE. But that brings up another problem I have with the film and with more of Allen's later work that I don't have with most of his early films. The character work is good, but there are also simply too many characters. In BLUE JASMINE it feels like about half a dozen too many. It's one of those Writing 101 (or at least 201) lessons ("How to reduce and combine supporting characters and subplots") that Allen really had mastered decades ago. Every time I have a question about why we're introduced to somebody in a big ensemble film like CRIMES AND MISDEMEANORS, it always pays off later, often in a completely unexpected manner. Btw, any Woody Allen fans who share my opinion that CRIMES AND MISDEMEANORS is one of his finest films should seriously consider getting the limited edition Blu-ray that Twilight Time just released via Screen Archives Entertainment. Jill: I have the screener for "August: Osage County" sitting by my TV, so it sounds like I should watch it on your recommendation. J.S. : I love "CRIMES AND MISDEMEANORS" dearly, but I don't think it's one to cite for being lean: it's quite sprawling and messy, and the two plots have only the most tenuous thematic connection. Once again, one of your problems with Blue Jasmine was something I liked: the lack of homogeneity. It's easy to get tired of movies like "Hannah and her Sisters" because everything feels too familiar and insular (which, okay, was his point to a certain extent) but BJ and many of his later films don't feel like they take place in that quaint Woody-world. There's no reason for anybody in BJ to look similar because there are no two characters that are blood relatives (except Baldwin and his son). I'm glad that worlds are colliding uncomfortably. 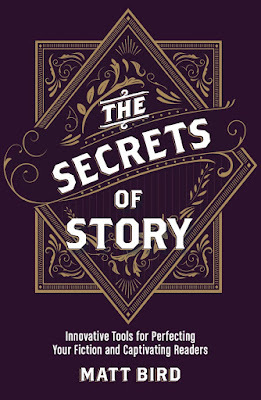 I love a lot of Allen's post-scandal work, including "Manhattan Murder Mystery", "Bullets Over Broadway", "Deconstructing Harry", "Sweet and Lowdown", "Small Time Crooks", "Something Else", "Match Point", and "Midnight in Paris", so I'm very glad he keeps working. So Dice Clay and Sally Hawkins' kids aren't supposed to look like them? Not that I even care, necessarily, because I suppose I was getting more at how none of the supposedly related people (also see the larger problem of the cast feeling tonally as if each one of them is in a different movie) even _feel_ like they are related. Walt Jr. on BREAKING BAD is pretty much the gold standard for me when it comes to a film or TV show's ability to convince me through writing and inspired casting by feeling that somebody is a member of a fictional family s/he shouldn't really seem to belong to visually. Interesting that two of my more compelling late Allens are totally absent from your list. CASSANDRA'S DREAM (which suffers from the same "hey let's just cast a bunch of wrong looking/feeling stars as related" problem I've been harping on), which I admire for its narrative and cinematographic darkness. And then VICKY CHRISTINA BARCELONA, which has one stunningly photographed scene that rivals any of the most breathtaking experimental visuals in Sokurov's films. And then -- sigh -- quickly forgets that it ever could see things so boldly and goes back to normal late Allen coverage. Guess he had to make it to that Euro league basketball game in time? I say if you really think that CRIMES AND MISDEMEANORS has any fat or that it isn't one of his best written films, then you just need to watch it again. Oh right, I'd forgotten Hawkins' character had kids. I wouldn't change a thing about CRIMES AND MISDEMEANORS because I *like* messy movies. I still feel it's sort of stitched together, but I agree that it's one of his best. I thought VICKY CHRISTINA BARCELONA only worked when Penelope Cruz was on screen. I didn't see CASSANDRA'S DREAM but I'm glad to hear you liked it, because that finally gives me an excuse to watch it.